- M1W The Showcase (May 23, '10) = Nick Madrid, Jacob Diez, Jarek Matthews, & Mike Meyers defeated Leo Blaze, Ruben Iglesias, Josh Worthy, & Kyu. - M1W Wrath of Con II (October 30, '10) = Madrid & James Morgan fell to Peter Avalon & Brandon Parker. 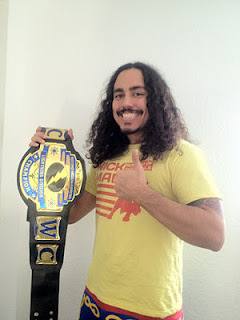 - NWA WCWC Survival Games IV (November 21, '11) = Madrid won the WCWC Lightning Division Title, defeating Jonas Albert Robinson.